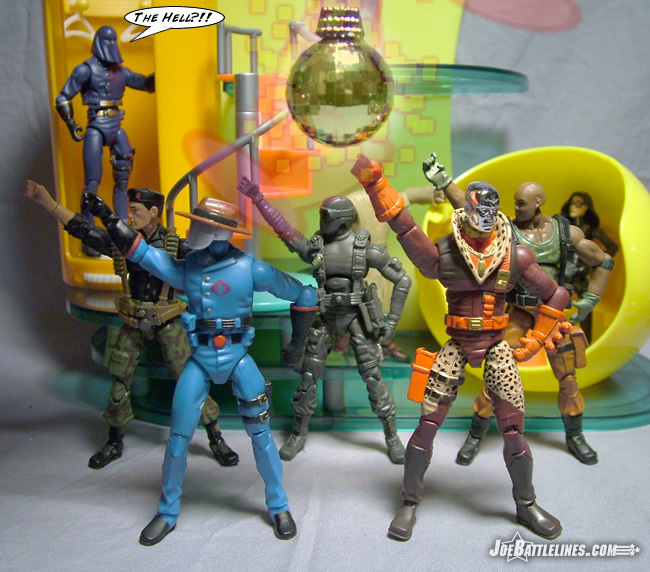 Back in 1997, GIJoe: A Real American Hero returned to store shelves for a limited engagement at Toys R Us. 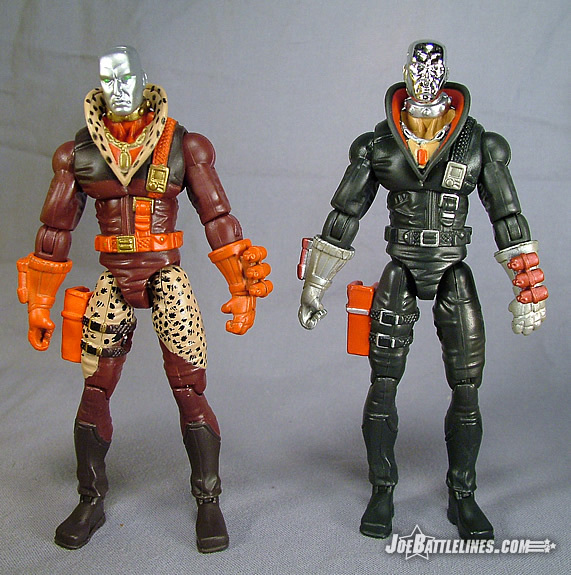 There were no new figures or vehicles produced—simply a great many repaints and a few “renames” due to copyright issues. 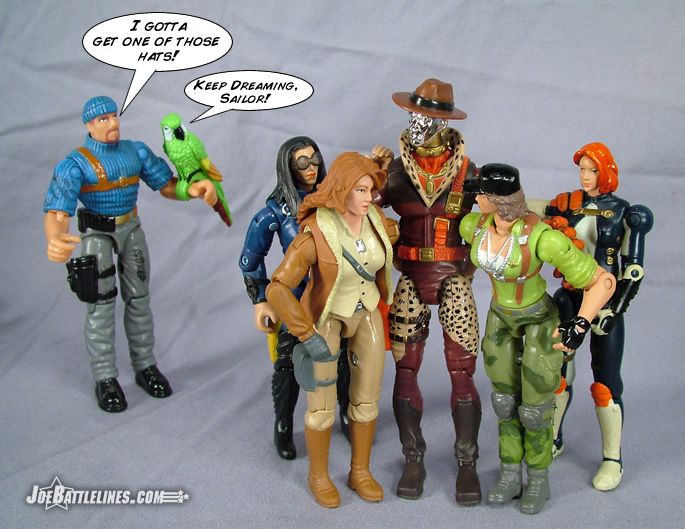 The line proved to be a success and this series of store exclusives paved the way for GIJoe to return to mass retail in 2000 with a vengeance. 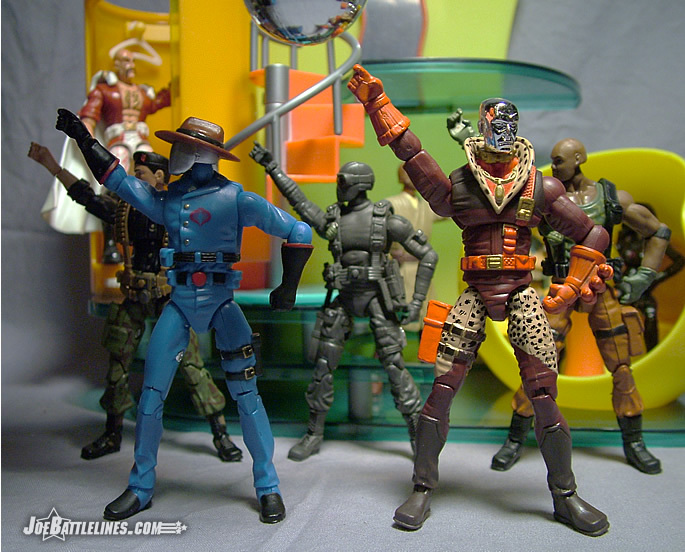 Much of the “A Real American Hero Collection” has been overshadowed, however, by the more recent GIJoe vs. Cobra and Direct-to-Consumer figures and so many of the figures from that ’97 re-launch have faded to the back of collector’s minds. 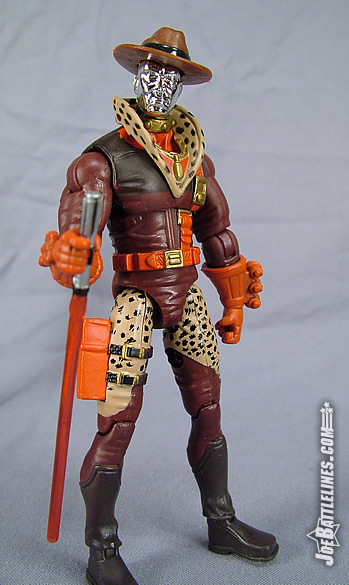 One figure, however, made such a splash with collectors that Hasbro replicated him in not one but two versions as a summer convention exclusive figure. What figure is this that is resurrected with such prominence? Read on, and find out! 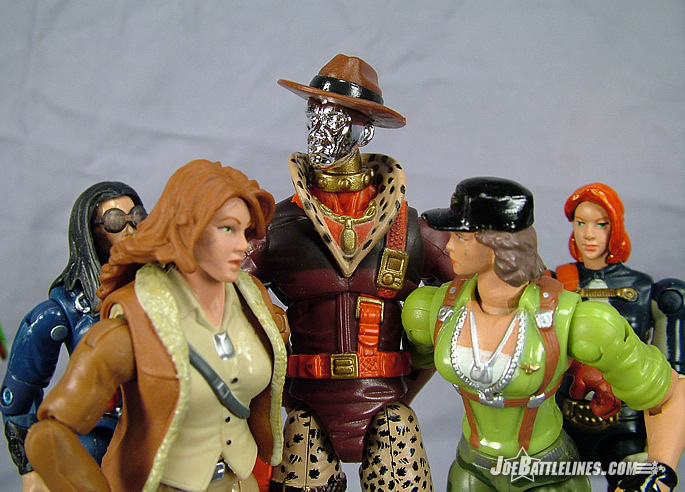 I’m not going to bore readers with the history of the infamous “Pimp Daddy Destro” figure—not when there is a website that covers the “ballad of PDD” in such fantastic detail. For more information, head on over to Peter Hubner’s ProjectPDD.com to find out the real story on this infamous figure. 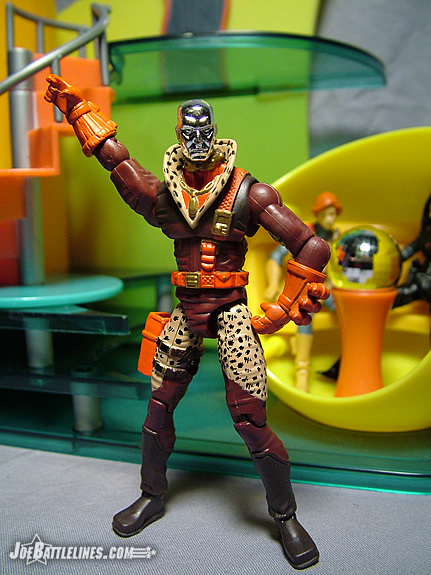 “Well, you can tell by the way I use my walk, I’m a woman’s man: no time to talk.” While I certainly can’t see this figure walking anytime soon there is no doubt that Destro has been taking lessons from Ralph Furley of "Three's Company" on “what the ladies like” in terms of fashion. Not since the era of disco and roller skates has there been an outfit quite like this—and for good reason. Rejecting the classic black leather of his normal uniform, James McCullen – aka the infamous Destro—has opted for a more “casual look”. Honestly, I can’t begin to describe this uniform with anything resembling a straight face. However, do not mistake my incredulity for disdain or scorn. I absolutely love this figure for everything that it is—gaudy, cheesy, tacky, cliché, and yet oddly fascinating all at the same time. 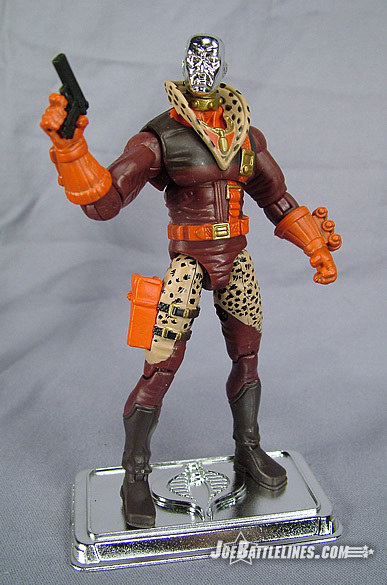 From the basic maroon body suit and black boots, right down to the leopard print collar and upper pants, this figure has rapidly become my single favorite figure from the 25A line. 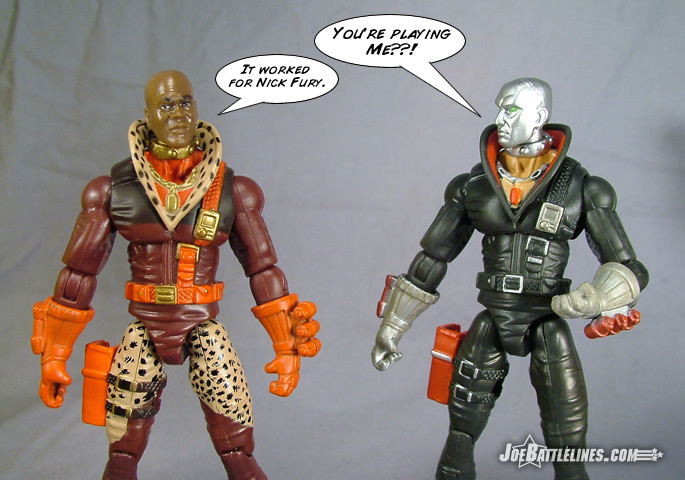 I’m serious—simply for the sheer outlandishness of the costume, this Destro opens up more diorama possibilities than any other version of the figure yet produced. 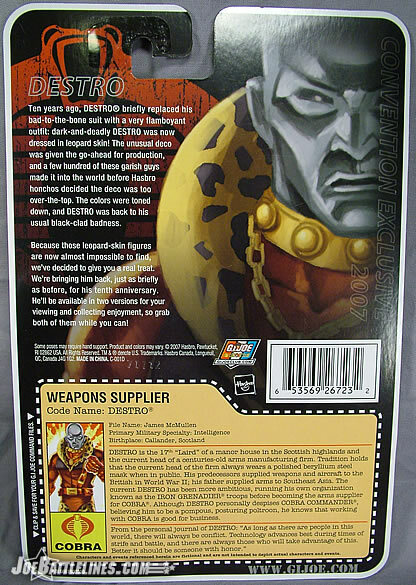 The basic body is that of the previously released Battle Pack Destro; only the colors have been changed to protect the “funky”. I can’t help but look at this figure and hear disco playing in the back of my head. 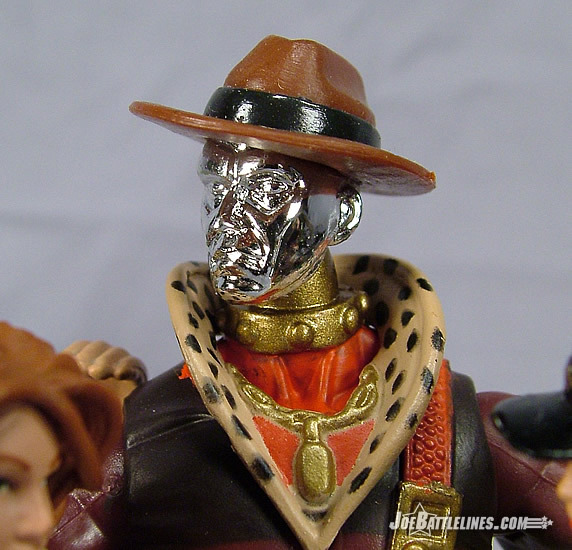 Simply throw on an extra VvV Wild Bill hat and find a suitable substitute for a cane and Destro is ready to “strut his stuff” on the dance floor and take Anastasia out for a night on the town. 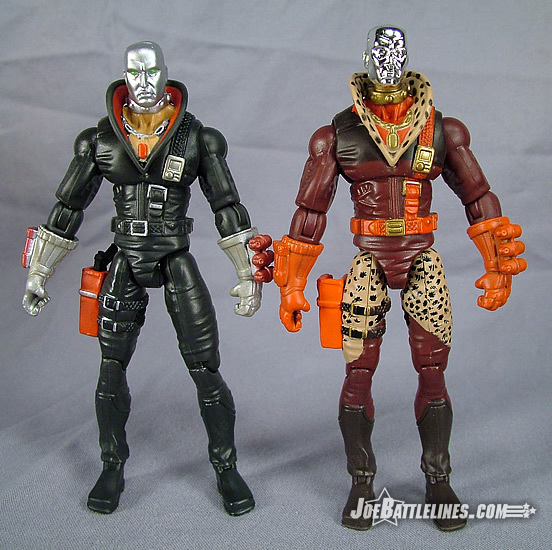 The only aspect of this figure that bothers me somewhat is the fact that his neck is painted gold as is the collar at that base of his mask, yet the more common head sculpt is the silver version. It’s the only detail that hampers my outright twisted fascination with this figure. I can’t help myself—I LOVE this figure. 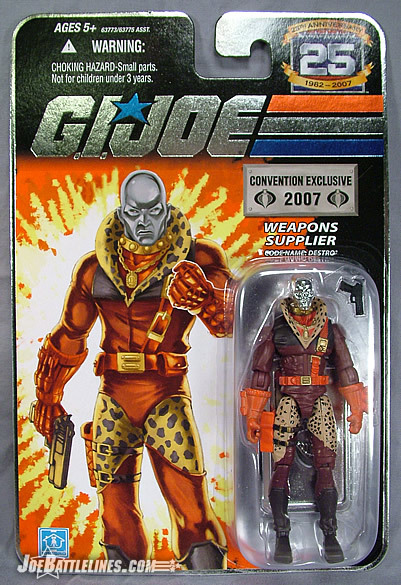 Maybe it’s the fact that Destro, one of the most hard-edged characters in the entire GIJoe mythos, is dressed in the cast-offs from Liberace’s closet. 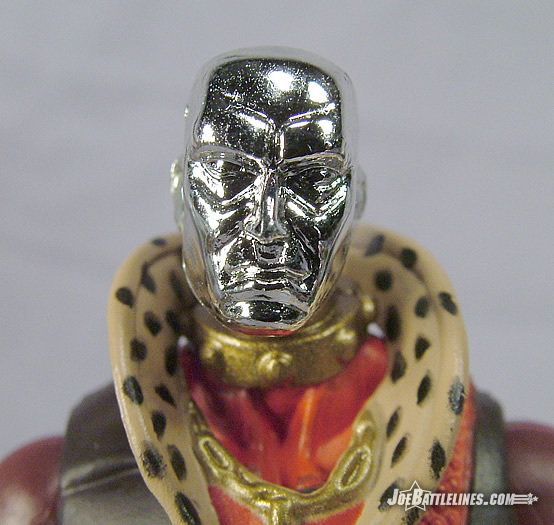 Maybe it’s the chromed head or even the fact that I’ve been listening to “Stayin’ Alive” the entire time I’ve been writing this review. Regardless of the source of his appeal, I can’t get enough of this figure. Simply put: he makes me laugh and reminds me of the fact that figures can just be fun. 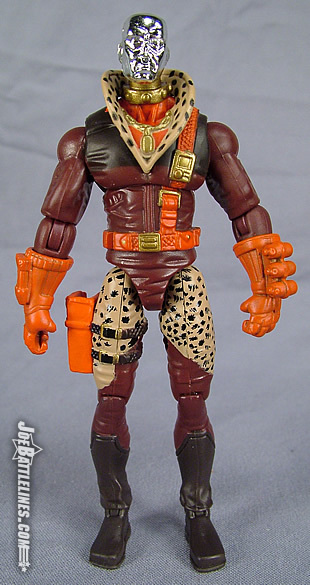 I don’t own one of the original PDD figures from 1997, although like many Joe fans I swear that I passed one up on the shelves years ago. 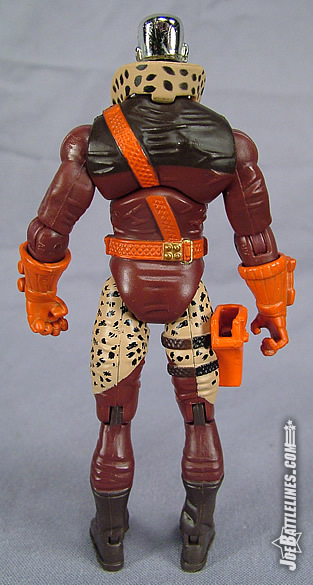 If you have the chance to acquire one of these figures and don’t have to spend an arm and a leg—by all means grab one and enjoy him for all of his over-the-top 70’s machismo. If you’re fortunate enough to have purchased a gold version, consider yourself fortunate. 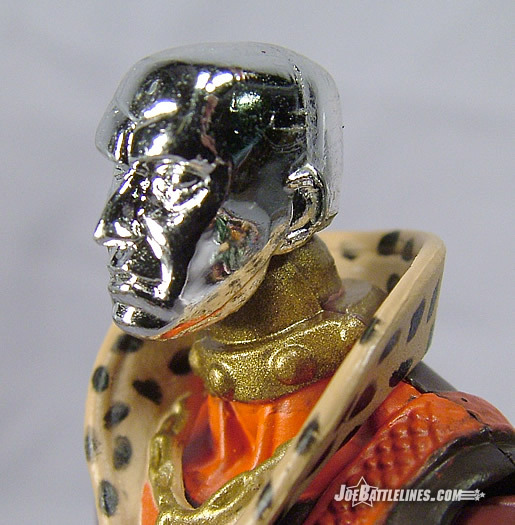 If you’ve got an extra gold version, contact me immediately as I really do think the gold is the better color for the modern “Pimp Daddy Destro”.